Back by popular demand, Dr. Mark Futato will lead the 2019 Winter Bible Conference at LOPC entitled Jonah - Finding the Heart of God. 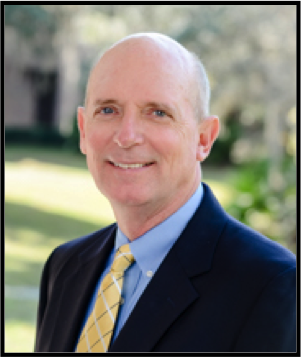 Dr. Mark Futato joined Reformed Theological Seminary Orlando in 1999 and serves as the Robert L. Maclellan Professor of Old Testament, where he teaches core classes on Hebrew and Old Testament books. He also served as Academic Dean of RTS Orlando from 2004 to 2012. Dr. Futato's research interests include biblical Hebrew, the Book of Psalms and the role that elements of creation such as climate and geography play in Scripture. Dr. Futato has published multiple books on the Psalms as well as an introduction to biblical Hebrew. He is currently finishing a commentary on Jonah. The conference schedule will be Friday, February 15th from 7:00 - 8:30 p.m., Saturday February 16th from 9:00 a.m. - noon, and Sunday, February 17th during the Sunday School hour from 9:15-10:15 a.m. and the Morning Worship Service from 10:30-11:45 a.m. No fees or registration is required. Childcare is available for infants - 3 years of age on Friday and Saturday and infants to 10 years of age on Sunday. Lake Oconee Presbyterian Church is located at 113 Scott Road, Eatonton. For more information, please call the church office at 706-484-0600. Lake Oconee Presbyterian Church is located at 113 Scott Road, Eatonton. Friday, February 15th from 7:00 - 8:30 p.m.
Sunday, February 17th during the Sunday School hour from 9:15-10:15 a.m.
Sunday, February 17th during Morning Worship Service from 10:30-11:45 a.m.